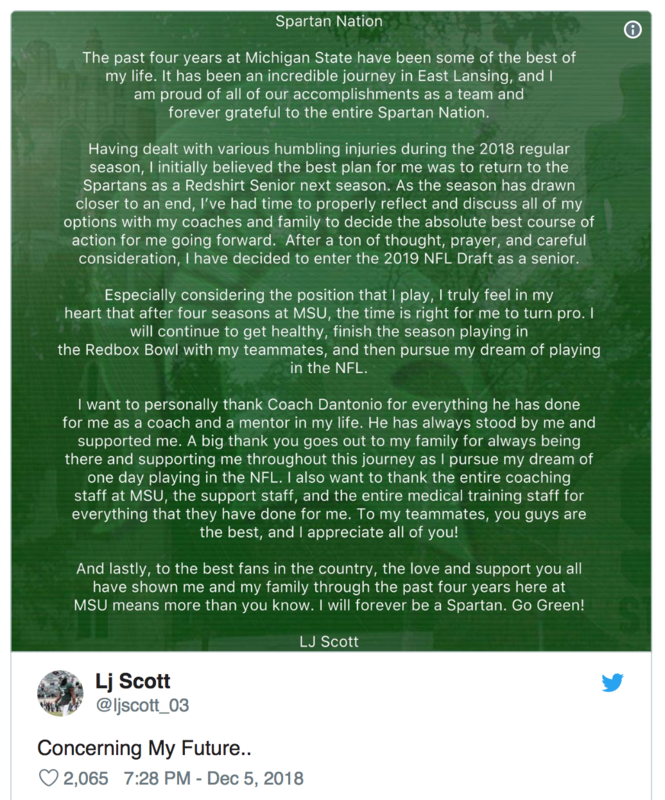 Michigan State senior running back LJ Scott has decided to forgo a fifth season and head to the NFL Draft next spring. Scott announced on his Twitter page Wednesday night that he will play in the Redbox Bowl on New Year's Eve against Oregon, thus ending any chance of a redshirt. The senior year of Scott was plagued by injuries, carrying the ball just 55 times for 180 yards and no touchdowns this season. 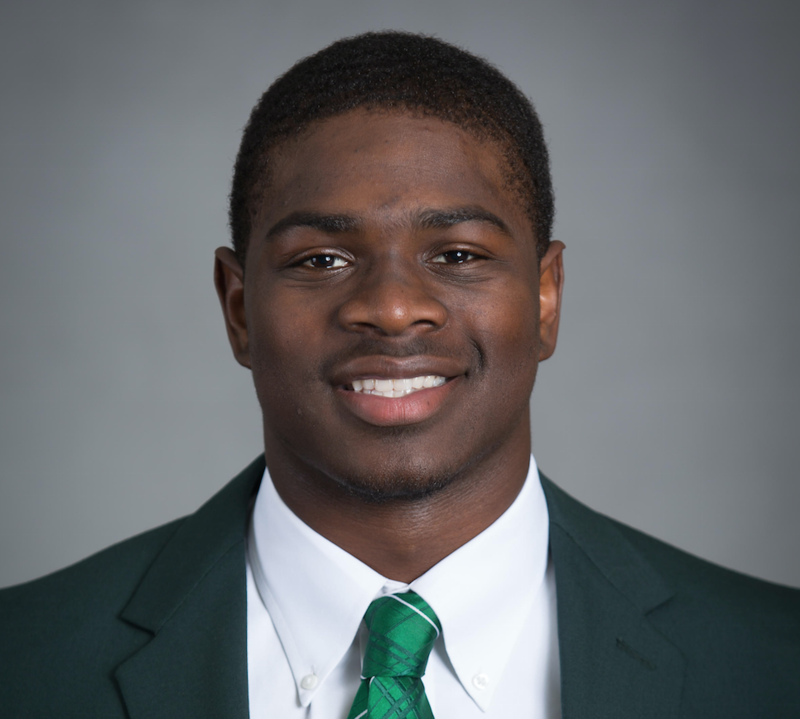 He will enter the bowl game with 2,771 career rushing yards (good for 10th all-time at MSU) and 25 touchdowns.